St Thomas More is a Catholic church in Mt Eliza, a suburb near the southern tip of greater Melbourne. Seating around 150 people, the spacious auditorium hosts masses several times a week, with the largest being on Sundays. Attached to the church is St Thomas More primary school, and the students use the church for school programs and masses. The church also hosts functions, funerals, and events when necessary. Carl Pellegrino of Reflections AV was approached by St Thomas More with a simple brief — bring the church’s audio and visual system up to scratch. ‘Clunky’ is the word Carl used to describe the prior setup. Lacking up-to-date equipment, the church required a thorough revamp of its AV to better service those who regularly use the space. 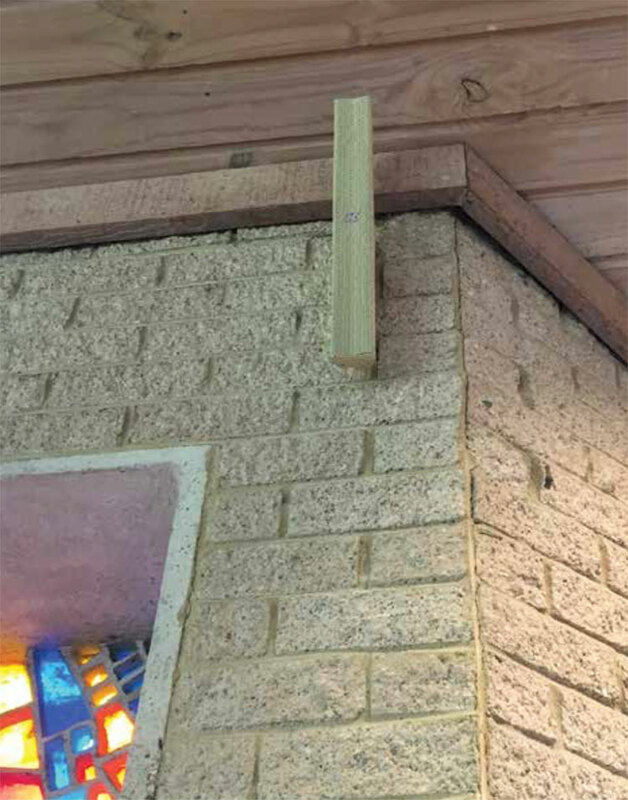 With the help of the NAS Projects Team, Carl designed the perfect audio upgrade for the church. Choosing the right speakers for the room was imperative. K-Array is an Italian loudspeaker manufacturer which specialises in creative sound reinforcement solutions. 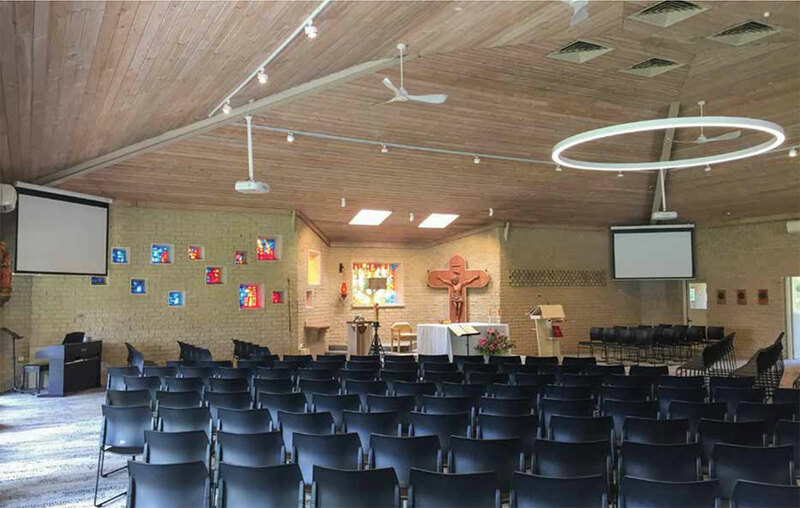 Carl selected the K-Array KK52 line array element product as the main front-of-house PA for St Thomas More, along with the K-Array KU26 subwoofer to fill out the lows. These three loudspeakers are powered by a single K-Array KA24 amplifier. 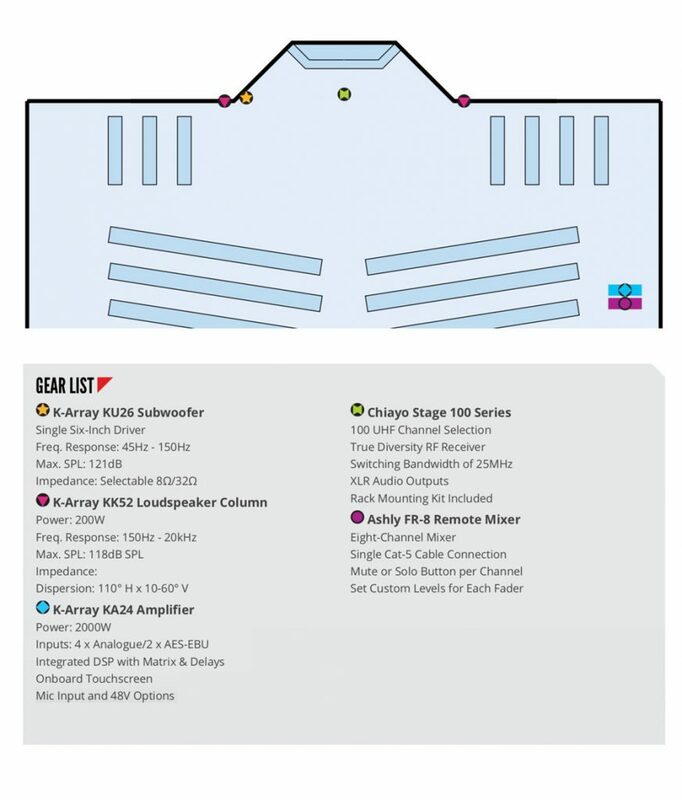 There are a couple of things that make K-Array products stand out from the crowd. Firstly, the brand’s loudspeakers have an extremely slim profile — even the subwoofer is just 119mm deep. Second, K-Array loudspeakers can be purchased with custom colour finishes out of the factory. 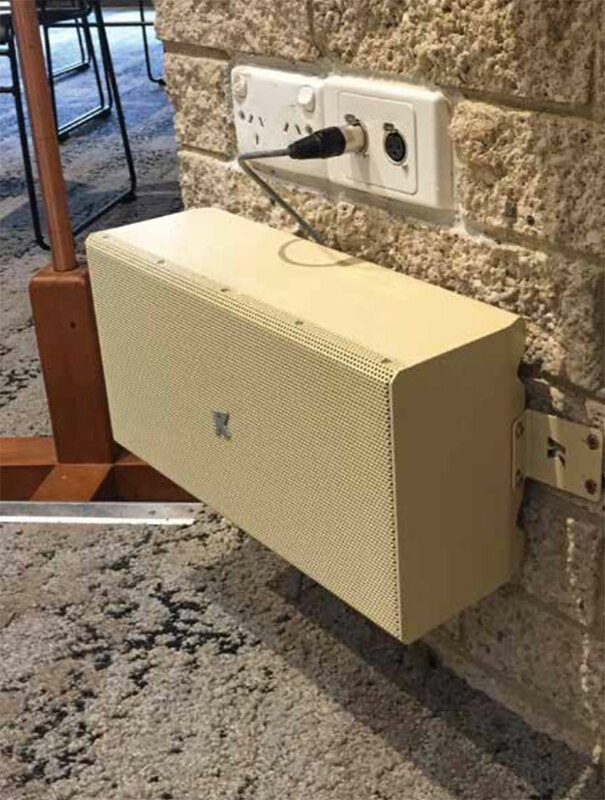 This made K-Array’s KK52 and KU26 an ideal for St Thomas More’s church hall as the leadership was keen ministry so there was no need for several inputs to be patched or plugged into the mixing system. It was about designing an easy-to-use system for the different users that come in. 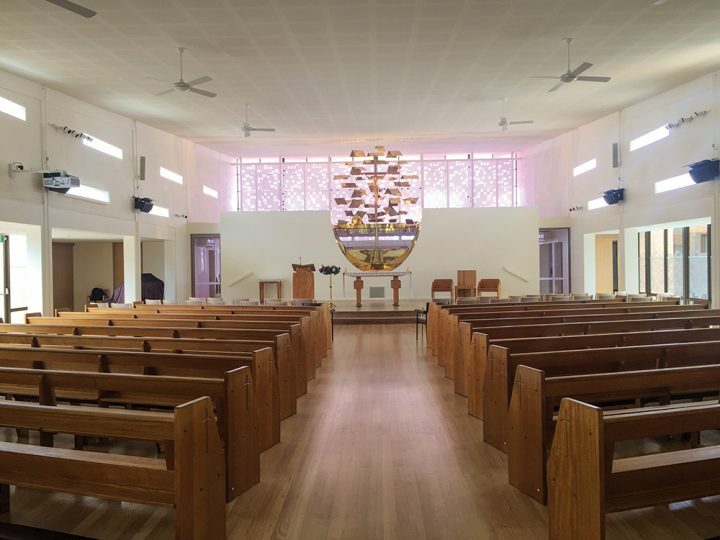 As the client wished, the new installation at St Thomas More is appropriately discreet and effortlessly covers every seat in the auditorium with clear sound.